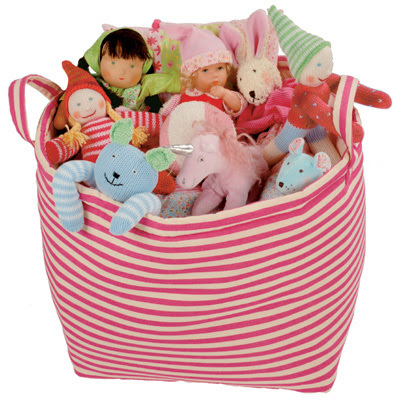 Tangled and True: striped elf toy bag. It's pretty, pretty large, and perfectly pink. Any takers? oh how I love Kathe Kruse! I'm a taker. That's a great bag Kelli!